We have a present for you: a Christmas gift idea! If you buy our Traditional Balsamic Vinegar of Modena on our online shop you’ll receive as a gift a screen-printed table mat with the story of the ABTM! (one for each bottle!) Hurry! The offer expires December 15th! The table mat measures 15 x 20 inches and tells the history of how the Traditional Balsamic Vinegar of Modena is done, from the harvest to the pressing of the grapes, from the cooking of the must to the aging in the barrels! 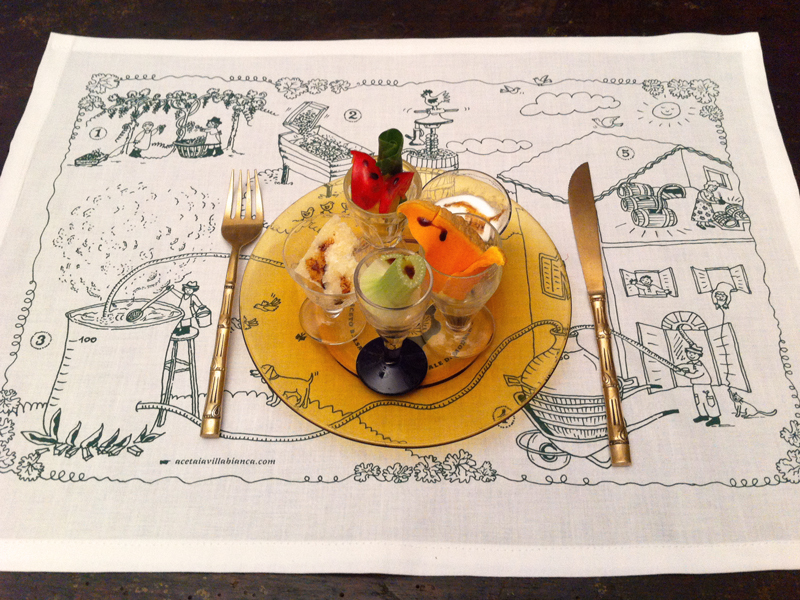 It can be used both as a tablemat or as a cloth. The original drawing is by Irene.